So Many Shiseido Shampoos! Which One Should I Use? 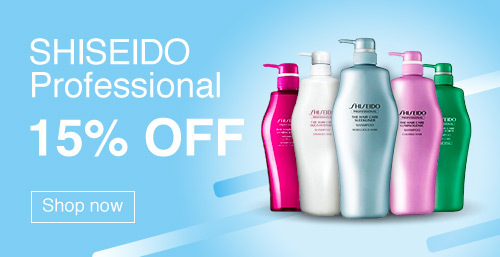 When you do a search of Shiseido shampoos, you may be overwhelmed by the number of options available! Which to choose, how to choose? Trust me, I was before I settled on my Fuente Forte. This guide is written for that reason: to help us make sense of it all! It’ll be a useful guide for anyone starting out on choosing their first Shiseido shampoo, or for when you are looking for another professional hair care series to tackle new hair types. If your friends need advice on the Shiseido shampoos, share this article! Sharing is caring, after all. Note that nothing I say here is new, as you can find these information on Shiseido’s professional series website. This compilation was made for easy reference. In addition, not all the products will be reviewed, else it will confuse instead of being useful. For promoting hair growth, preventing hair loss, create volume. If you are looking to promote hair growth, due to current hair loss concerns, or you want to get volume out of your hair, consider using the ADENOVITAL series. The ADENOVITAL series focuses on strengthening the cuticle, making the hair more resistant to damage. 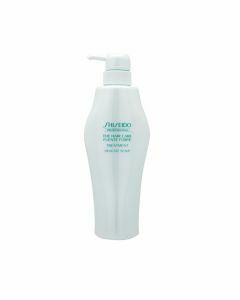 Unique to the ADENOVITAL series is Shiseido’s recommended Scalp Essence V, which works on the hair papilla to promote hair growth conditions, and promoting a healthy environment of your scalp. ADENOVITAL Shampoo: Gently but thoroughly cleanses the scalp. ADENOVITAL Scalp Treatment: Gives the scalp moisture. 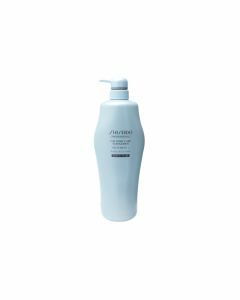 ADENOVITAL Scalp Essence V: After the Shampoo and Scalp Treatment has prepared the scalp, Scalp Essence works on hair growth. For frizzy, tangled or unruly hair. The SLEEKLINER series is recommended for people who have problem taming their hard-to-control hair, or people looking to devolumise their hair. The series also helps to keep your hair straight and smooth. The SLEEKLINER series focuses on keeping the hair smooth through it Smoothness Retention Technology (yes, Shiseido’s R&D works hard for us). This series of hair care also supports the inner parts of the hair that may be weak against humidity. The SLEEKLINER Treatment has two types, for different hair thickness. SLEEKLINER Shampoo: Cleanses and controls frizziness. SLEEKLINER Treatment I: For thin hair. Keeps hair smooth and manageable. SLEEKLINER Treatment II: For thick hair. Keeps hair smooth and manageable. SLEEKLINER Mask: A 3-5min leave-on-and-rinse mask for correcting the hair from within. Intensive care, used only once or twice a week. For oily scalp, sensitive scalp, dandruff, itchiness, scalp’s lack of resilience, scalp’s lack of moisture due to aging. FUENTE FORTE Shampoo: Eliminates sebum and impurities that are related to scalp problems. FUENTE FORTE Shampoo (Delicate Scalp): Eases itching and any sensitivity issues. FUENTE FORTE Shampoo (Clarifying): Keeps scalp free of irritation because of scalp oil. Also good for dandruff. FUENTE FORTE Shampoo (Purifying): For scalps that tend to get sticky. 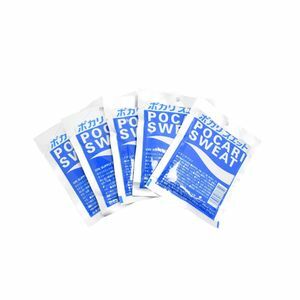 Has a cooling effect. FUENTE FORTE Treatment: Promotes a healthy scalp environment. Gives a airy, light feel. FUENTE FORTE Treatment (Delicate Scalp): Eases itches and sensitivity. Gives a supple finish. FUENTE FORTE Sebum Clear Cool: Like facial care, removes sebum, dead skin cells and impurities inside pores. Refreshing coolness to tighten the scalp. FUENTE FORTE Sebum Clear Warm: Like facial care, removes sebum, dead skin cells and impurities inside pores. Comfortable warmth to ease the scalp stress. For dry hair due to loss of moisture, damaged hair, hair exposed to repeated colouring and perming. If your hair feels dry, lacking the required moisture due to abuse, then the AQUA INTENSIVE series is for you. The AQUA INTENSIVE focuses on the loss of moisture from inside the hair. Their moisturising agent is a combination of royal jelly extract and a moisturising retention ingredient. Like the SLEEKLINER, AQUA INTENSIVE also has two types of treatments and a mask. AQUA INTENSIVE Treatment I: Repairs damage and moisturises. Gives an airy feel. AQUA INTENSIVE Treatment II: Repairs damage and moisturises. Gives a moist and supple feel. AQUA INTENSIVE Mask: A 3-5min leave-on-and-rinse mask for repairing damage and moisturising. Intensive care, used only once or twice a week. For hair gone under repeated colouring, rough/coarse hair, dull-looking hair. The LUMINOFORCE series is for people whose hair have lost their shine, which is where the LUMNIOFORCE series focuses on: restoring texture and shine. 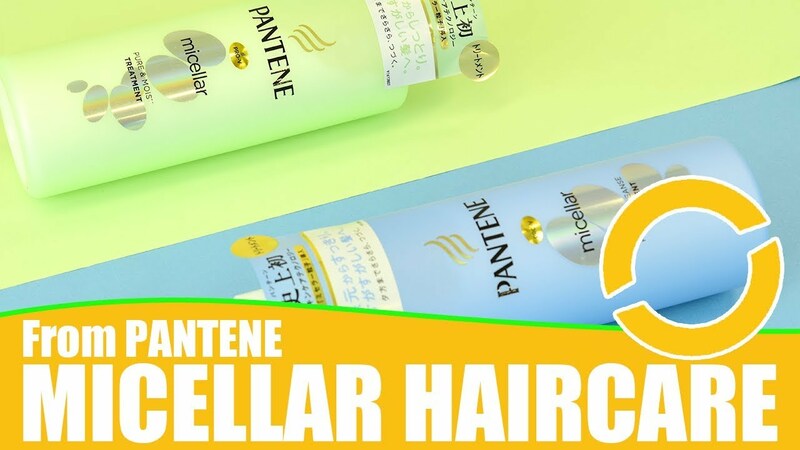 It is also suitable for people with coarse hair as the series actively repairs the hair to get a sleek look. The LUMINOFORCE series focuses on repairing lipids in the hair (the lack of it will cause the hair to be coarse), while making sure moisture is retained. LUMNIOFORCE Shampoo: Cleanses impurities and keep hair’s colour. LUMNIOFORCE Treatment: Gives the hair a supple and shiny finish. LUMNIOFORCE Mask: A 3-5min leave-on-and-rinse mask for repairing damage to give suppleness and shine. Intensive care, used only once or twice a week. The LUMINOGENIC series is similar to the LUMINOFORCE series’s focus on coloured hair. But instead of hair quality maintenance, LUMINOGENIC focuses leans towards retaining the hair’s colour by controlling the amount of water absorbed and released by the hair, which limits the loss of the colour dye. LUMINOGENIC Shampoo: Cleanses impurities and keep hair’s luster. LUMINOGENIC Treatment: Gives the hair a smooth and shiny finish. LUMINOGENIC Mask: A 3-5min leave-on-and-rinse mask for repairing damage and retain hair colour. Intensive care, used only once or twice a week. For people who want volume, hair strength and resilience, hair waviness. The FUTURE SUBLIME series is about nourishment for the hair and scalp, tackling issues that may be related to aging (for example loss of moisture). This series focuses on age-related damages of the hair and scalp, so that your hair will be strong from its foundation. FUTURE SUBLIME Treatment: Contains an ingredient to add resilience and strength to hair. FUTURE SUBLIME Mask: A 3-5min leave-on-and-rinse mask that builds strength and resilience of the hair. Intensive care, used only once or twice a week. Depends on the length of your hair. A 500ml bottle of Shiseido shampoo can last a medium-length hair for 3-4 months. Furthermore, most Shiseido Shampoos and Treatments can be refilled. Using a “harsh” shampoo will thin down the nutrients needed by your hair and scalp, which will be too harsh for cleansing. Clarifying shampoos are harsh, which can be used once a month to clean the hair of stubborn dirt (like hair wax). if you dont mind to assist on the answering a few questions on the following. –is it for daily routine shampoo? – is it for daily routine shampoo? Thickness is important too! I have a medium length too, and very thick hair, so I usually go for one and half 500yen coin, plus a little just a little to reach any parts I’ve missed. Hi there, I have purchased the Shiseido Professional The Hair Care Future Sublime Treatment (Hair lacking density). 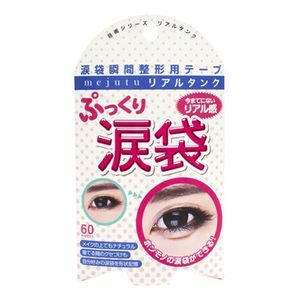 I would like to understand how do I properly use this product? Is this treatment the same as conditioner where I apply on a daily basis after shampoo? During application do I apply on scalp or do I stop at any portion of the hair? What is the leave-on duration After each application before rinsing the treatment off? Possible to send your replies to my personal email. Appreciate and Thank you very much!! Hi Kristen, sorry for the late reply! You’re right, it’s a daily use after shampooing. It’s okay to let it touch your scalp, because it is catered to the scalp too. (It is formulated with a special hyaluronic acid, a humectant that moisturises both hair and scalp). Do give your hair a thorough application, and rinse off properly between say 3-5 minutes. Hi,if you don’t mind helping me.I’m looking for a shampoo for everyday use which caters to oily scalp,dry hair,gets rid of dandruff.I have long,thick hair and rebonded my hair twice and permed(2 yrs ago)once.I’m not sure which series i should use. You can use this as a leave in treatment after you wash with the Fuente Forte series (just avoid the scalp if it tends to be oily) and it should help repair some of that chemical damage and hydrate your hair. I’m recommending this product in particular because it is by far the most popular hair product on our site, so it works for a lot of people! I hope that helps —let me know if there is anything else you have questions about!